Business Confidence levels in the North remains negative at -5.4, according to the latest ICAEW Business Confidence Monitor (BCM). This is marginally below the UK Q1 average of -1 and down slightly on the Q4 score of -3.4. This quarter’s result is also down compared on the score of -2.4 recorded a year ago in Q1 2017. The weak confidence reported this quarter may stem partly from slow export growth. Despite being an export-orientated region, exports are growing at 2.9%, which is below the UK average of 3.7%. Additionally, they are being outpaced by domestic sales growth of 4.0% over the year to date. The weak performance reported in the North is in turn likely to be associated with growing concerns over marketplace competition. The proportion of companies citing this has shown an upward trend over the last 12 months and is currently at 51%. On the upside, growth in the number of employees has risen from 1.0% in Q1 2017 to 1.7% in Q1 2018; additionally staff development budgets have expanded by 2.7% over the past 12 months (up from 0.9% in Q1 2017). Profit growth has also displayed an upward trend in the past year, with expansion of 3.2% in Q1 2018. Improved profits have supported capital investment growth of 3.1% over the period. However, this is expected to slow in the upcoming year. 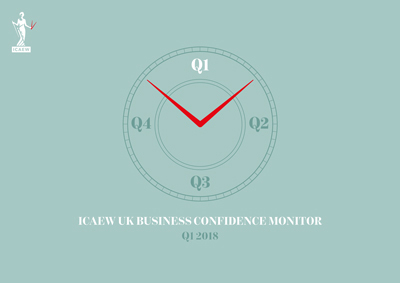 The latest ICAEW UK Business Confidence Monitor (BCM) shows that business confidence has improved but is still in negative territory. This implies only modest GDP growth in Q1 despite global expansion and below the expected growth of the Eurozone. 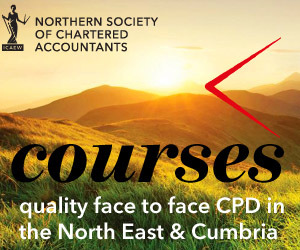 Northern Society of Chartered Accountants represents 4,000 ICAEW members and ACA students working in business and the finance profession across the North East of England, Teesside, Northern Yorkshire and Cumbria. We have been assisting businesses in the north of England and producing chartered accountants for over 130 years. 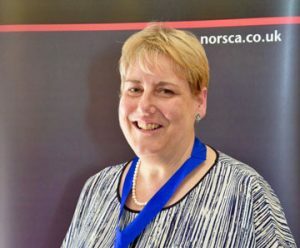 Members of the Northern Society of Chartered Accountants are ICAEW Chartered Accountants. ICAEW is a world leading professional membership organisation that promotes, develops and supports more than 147,000 members worldwide. As leaders in accountancy, finance and business our members have the knowledge, skills and commitment to maintain the highest professional standards and integrity. Together we contribute to the success of individuals, organisations, communities and economies around the world.